Have you thought about taking a Whale watch cruise? Do you want to see Whales but not sure about going on a boat? Not matter how you prefer to see the Whales Port Stephens is the best place to see them. Port Stephens is a top spot to see Humpbacks and Southern right whales passing during their annual migration. There are over 7000 humpback whales passing the outer Port Stephens waters in mass migration each year. Port Stephens offer visitors the chance to get up close and friendly with these mammoth creatures. We are located 2.5hrs North of Sydney on the Mid North Coast of NSW. Our peaceful seaside town is the best location along the East Coast of Australia with the closest vantage points available. Whale watching is available between May and October each year. May to Early September sees the whales moving north to their breeding grounds. Mid September to the Middle of October the south migration kicks in with Humpback mothers and their new born calves. We understand that boats are not for everyone we have this great Itinerary planner to share. With ocean lookouts all along the coast, you’re sure to spot a whale or two on their migration. Take the short walk to Tomaree Head Summit in Tomaree National Park and you’ll be rewarded with spectacular views and a great whale viewing spot. 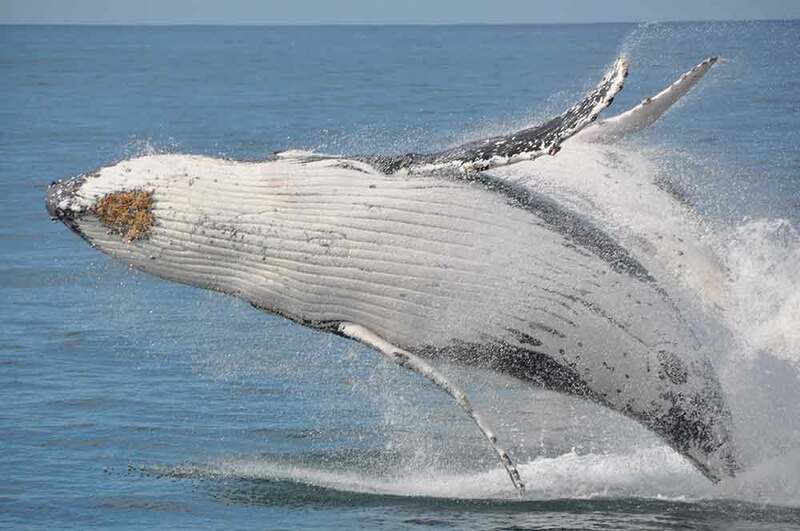 Or watch these amazing mammals as they make their journey along the coastline from a boat with one of the many tour operators in Port Stephens. Here is a great package available to experience this amazing natural wonder first hand. Check out the best value Whale Watch Packages in NSW. Port Stephens offers the best location for Whale watching along the East Coast of Australia.